UK utility company Thames Water announced that it has signed contracts worth £200 million (€232.95 million) to tackle leakage across its network. The contracts have been awarded for an eight-year period and were signed at Thames Water’s head office in Reading by its CEO Lawrence Gosden. Thames Water claims that the initiative is expected to save the equivalent of 172 Olympic swimming pools of water every day. 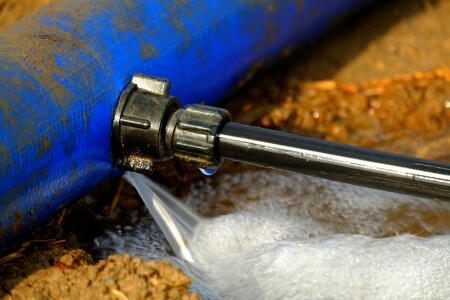 Teams from the signing parties will use a range of leak detection methods to assist in Thames Water’s goal of reducing its leakage by 15% by 2025. The utility firm revealed that the new contracts have allowed it to target higher leakage savings for 2019/20, from 370 million litres of water a day (mld) to 430 mld, an increase of 16%. “Reducing leakage is a top priority for the company and our customers, so it’s vital we have the very best people working on it,” said Gosden. The contracts form part of Thames Water’s £11.7 billion (€13.64 billion) business plan for 2020-25, where it has pledged to spend £2.1 billion (€2.45 billion) on increasing resilience and reducing leakage.